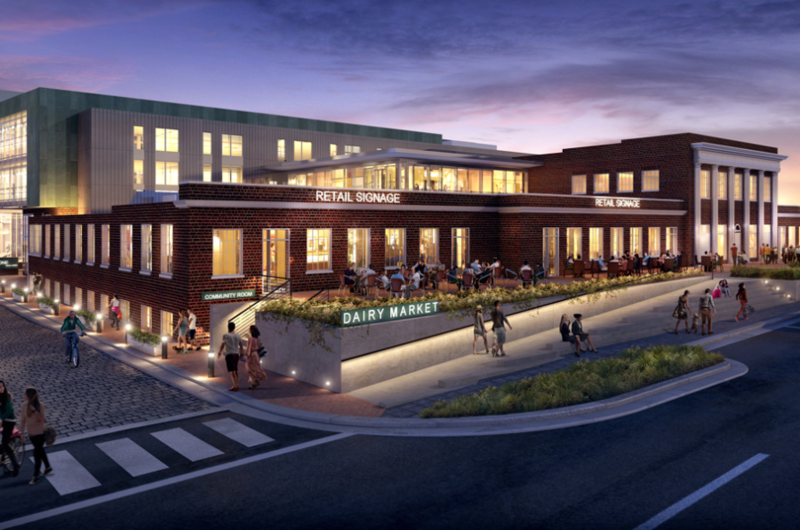 Dairy Central is an adaptive reuse project in the heart of Charlottesville. This project is the first phase of four planned phases, consisting of the renovation and addition to the historic Monticello Dairy Building. The scope includes razing the non-historic components of the existing building and renovating the historic components by adding first floor retail, a restaurant, and food hall amenities. The second floor will be expanded to include 10,000 SF of Class A office space. The project will also have 40,000 SF of Class A office space constructed over a 28-space structured parking level added to the back of the historic building. The project will also provide 151 additional surface parking spaces. Check out the project website for more information from the Owner. 08.27.18 Read More Created with Sketch.